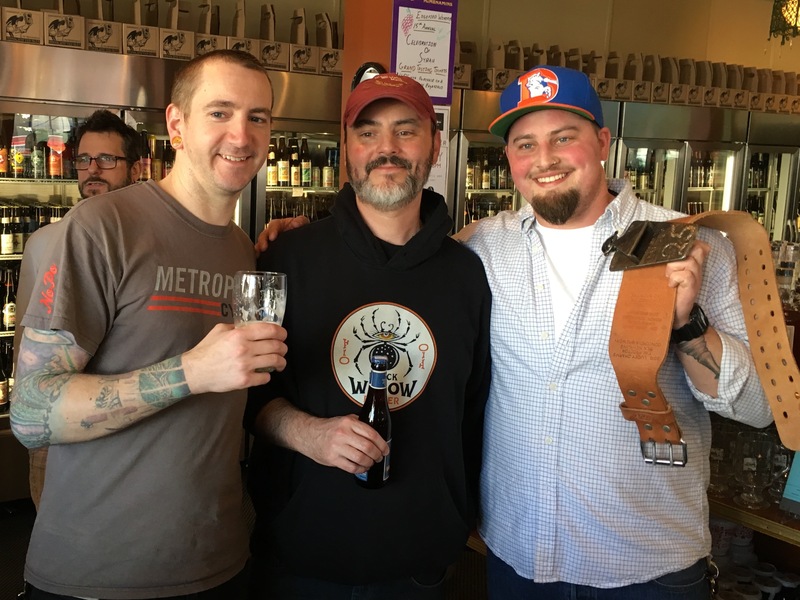 Jesse Grover of McMenamins On The Columbia (right), winner of the 2016 Battle For The Belt pictured alongside Matt Carver (center) and Dave Kosanke (left) from Kennedy School Concordia Brewery at 23rd Avenue Bottle Shop. This past Saturday, February 20th, 22 of McMenamins breweries competed at the 23rd Annual Hillsdale Brewfest for the coveted Battle For The Belt. 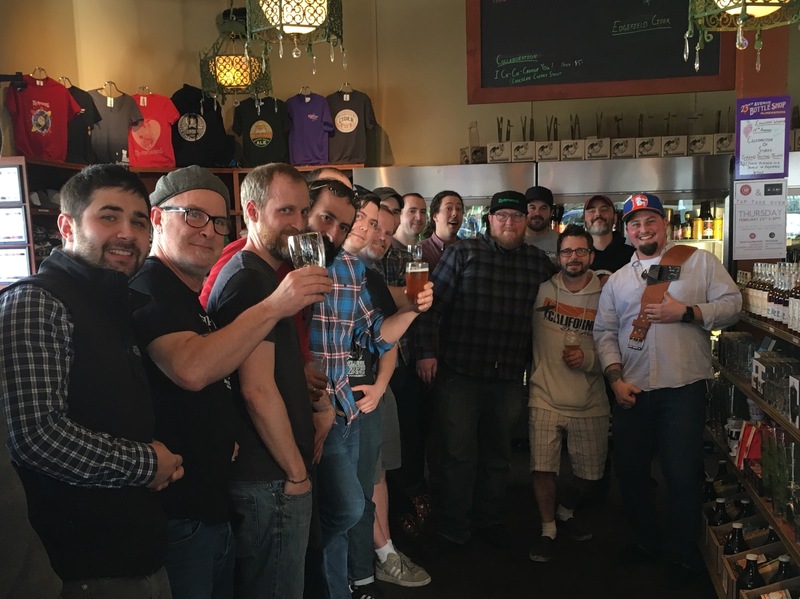 Yesterday afternoon many of the McMenamins brewers gathered at its 23rd Avenue Bottle Shop to wait for the award winning beers to be announced from Graham Brogan. 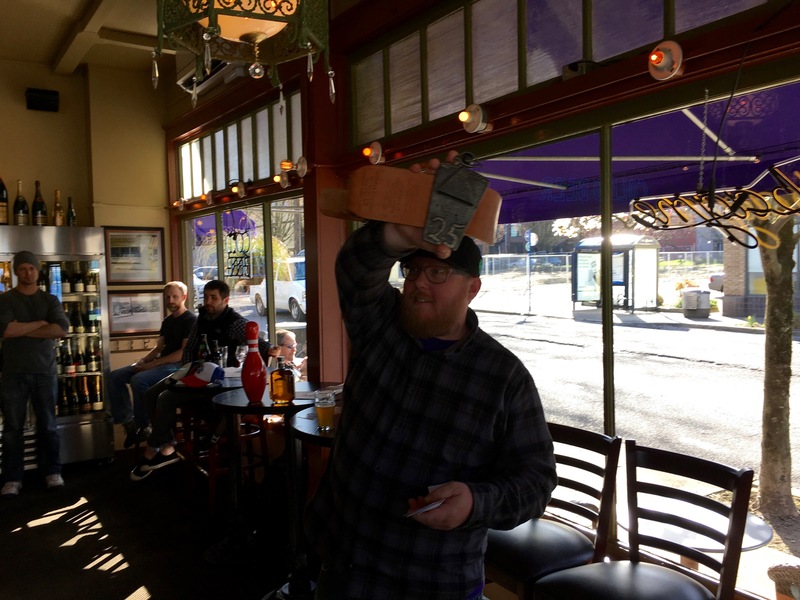 Graham Brogan from McMenamins holds up the Battle For The Belt at 23rd Avenue Bottle Shop. 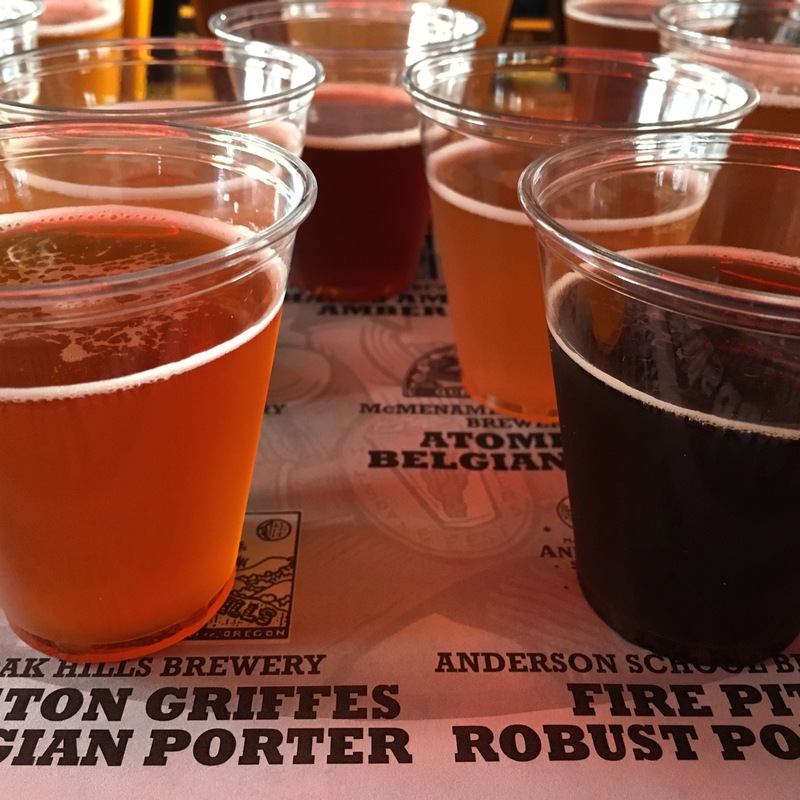 After 789 taster trays, each featuring 11 different beers, were sold one winner came out on top. Brewer Jesse Grover from McMenamins On The Columbia gathered the most points for a total of 406 points to win the 2016 Belt for its Cowabunga Radler. For each first place vote the beer received 3 points, 2 points for second place and 1 point for third place. Gover made history as the first Washington based McMenamins brewer that has won the Belt. Second place in most overall points went to the Kennedy School’s Concordia Brewery for its Kilmister Double IPA, a beer brewed in honor of one Lemmy. This beer was 54 points behind the winner at 352 total points. Then to round out the top three, West Linn Brewery received 344 total points for its unique Cinnamon Toast Wheat. As you can tell not many votes separated the top three finishers. Hillsdale Brewfest Taster Tray of beers. This year’s Hillsdale Brewfest feature two taster trays, a Yellow Tater Tray and a Blue Taster Tray. More detail on each tray can be found from reading our festival preview. Total orders for each tray had the Yellow Taster Tray coming out on top with 400 ordered while the Blue Taster Tray sold 389 trays. During the festival on Saturday the most pints sold went to Crystal Brewery’s Perfect Timing IPA that also happened to be the first keg to blow. The other kegs completely blown included Apricot Wild Ale from Edgefield and the champion beer Cowabunga Radler from McMenamins On The Columbia. A lineup of many of the McMenamins Brewers at 23rd Avenue Bottle Shop. Congratulations to Jesse Gover for coming out on top and winning the Belt for Cowabunga Radler. Oh yeah Jesse Grover! Good job!